Older Site Builder templates (pre-2018) has been decommissioned and any website using them automatically converted to a Designer Website Collection template. The new template used is the region-assigned default, and did not include any customizations performed on the older templates. We encourage you to look over your website and make any customizations you wish to make. Designer Website Collection - Your Custom Look! Offices must select one of the office-branded templates as these are trademark compliant and offer features such as an agent roster. Though it's not required, we recommend that teams select one of the team-branded designs. All images are fully customizable, and the team sites offer language geared towards multiple agents. For example, "Contact Us." Any content or graphical customization you have done to your home page under the older Site Builder templates will not transfer to the DWC templates. Existing scripts previously contained in the SEO / Tracking and Verification sections were moved to the 3rd Party Scripts section under Site Builder, Collections, Site Editor, Website Settings. These functions are normally used for applications such as Google Analytics, Live Chat, or Facebook Pixel Code. Note that all text areas will be pre-filled with Latin text and will need to be personalized with each agent's information. What is the Designer Website Collection? Learn more about the Designer Website Collection here. How do I add a video to my home page? If you would like to use video on your home page, you will need to select one of the templates that offer a video module. Please watch this webinar to learn more. How do I update my home page information after my site has been published? In order to update the information on your home page after your site has been published, you'll navigate to Site Builder -- Collections -- Site Editor. How do I update my interior pages? 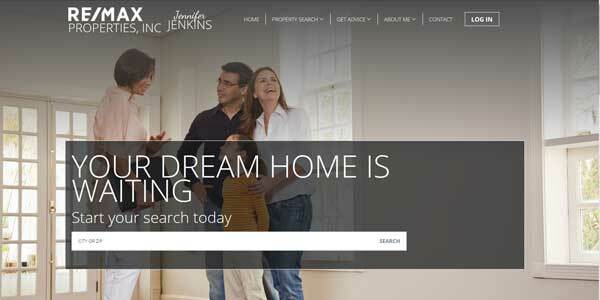 You'll continue to update your interior pages by going to Site Builder -- Content -- Pages. Where do I add my 3rd party scripts such as Google Analytics or Facebook Pixel code? Go to Site Builder -- Collections -- Site Editor. Next, choose the option for Website Settings -- 3rd Party Scripts. These scripts are typically added to either the Header or Footer as directed by the software vendor. I don't have any testimonials to add, so how do I delete this section? If you choose a design that has a testimonial section, this area must be utilized. If you don't have any testimonials to add, you'll need to choose a design that doesn't include this feature. I like the options available on an agent branded design - can I use a different background photo? The image you choose could be a background texture, local geography, or your own agent photo. Each design is intended to be customized to fit your brand and personality! Choose from a wide variety of stock photos or by uploading your own image. I have uploaded my own background photo, but the photo was cropped after getting published. Can this be fixed? Not every photo will be optimal for each template. If your photo doesn't display to your satisfaction, you may need to experiment with photos that have different dimensions and perspectives. Where can I find the Home Valuation call-out button? There is not currently an option for a Home Valuation call-out. Additional call-outs will be released in the near future.